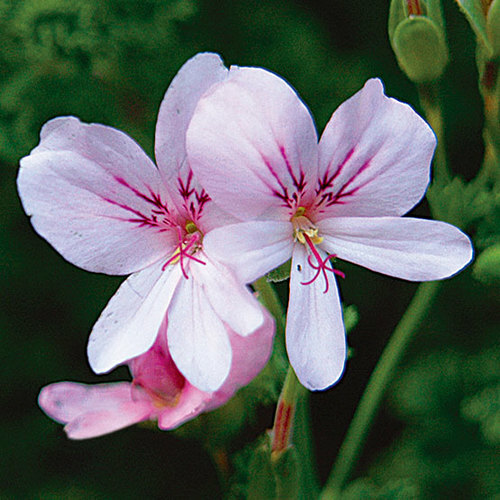 Trailing ‘Roger’s Delight’ has lemon-scented leaves and large red upper petals and paler lower petals. Noteworthy CharacteristicsFoliage emits a fragrance when touched. Great in containers. 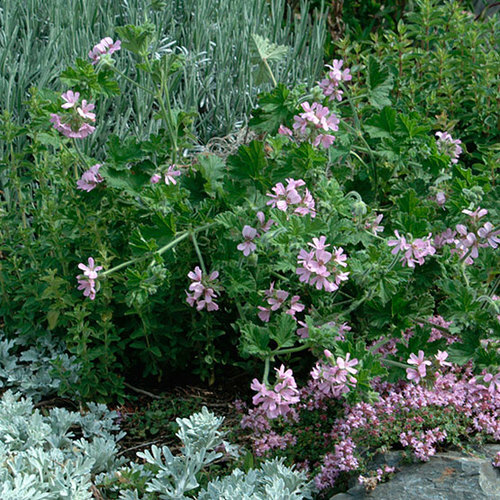 CareScented geraniums will not tolerate poor drainage. In a container, ensure drainage and adequate moisture by using a good potting mix that contains ingredients like peat moss, pasteurized compost, and perlite. Use a timed-released fertilizer in the soil or an all-purpose liquid fertilizer when you water. 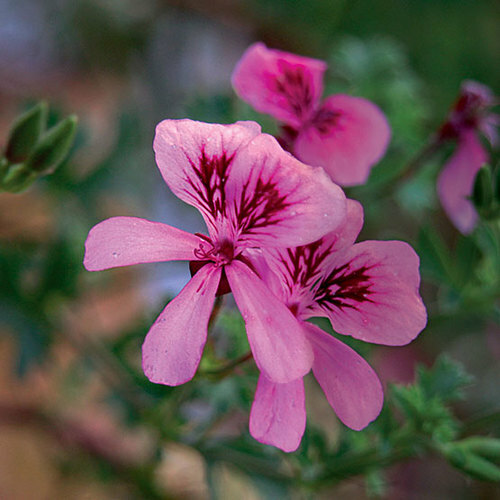 Pelargoniums like magnesium, and a teaspoon of Epsom salts (magnesium sulfate) added to each gallon of fertilizer solution every few waterings will adequately supply this nutrient. As with plants in the ground, place containers in the full sun. 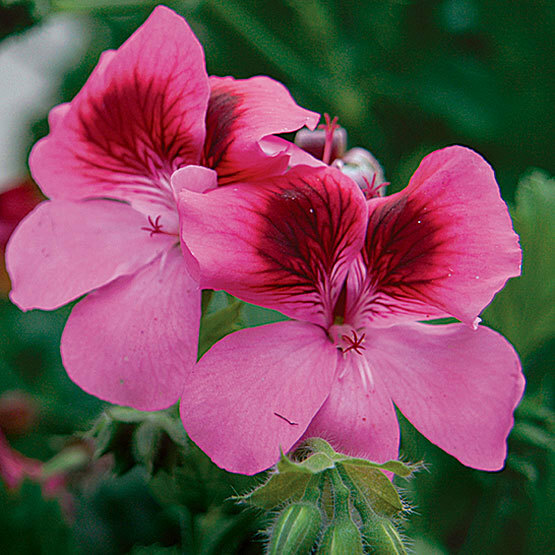 When temperatures get above 90°F pelargoniums appreciate some afternoon shade. 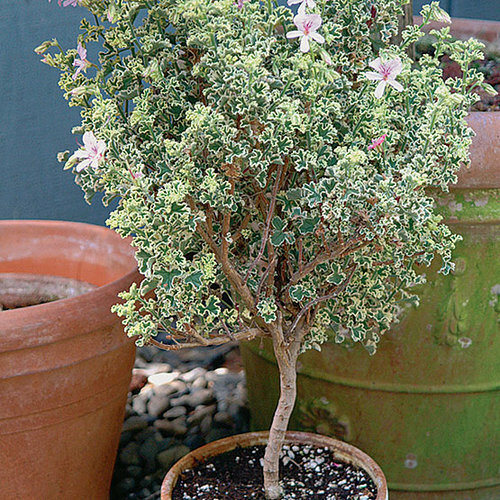 Bring potted plants indoors before outdoor temperatures drop below 45°F, to avoid shocking them. 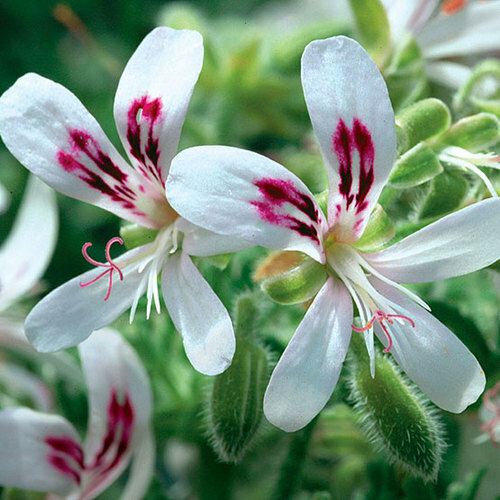 Place them in a south-facing windowsill that gets at least four hours of direct sunlight a day. 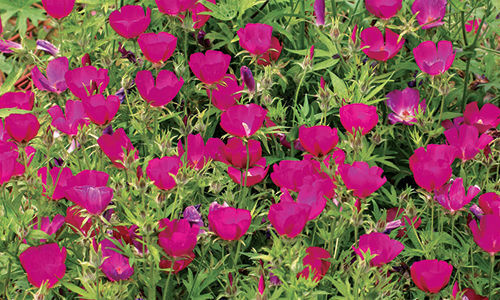 PropagationSow seed at 70°F in late winter or early spring, or take softwood cuttings in spring, late summer, or early fall. ProblemsThrips, spider mites, mealy bugs, caterpillars, gray mold, mildew, black leg, flower break virus, Xanthomonas blight, and edema are common problems.